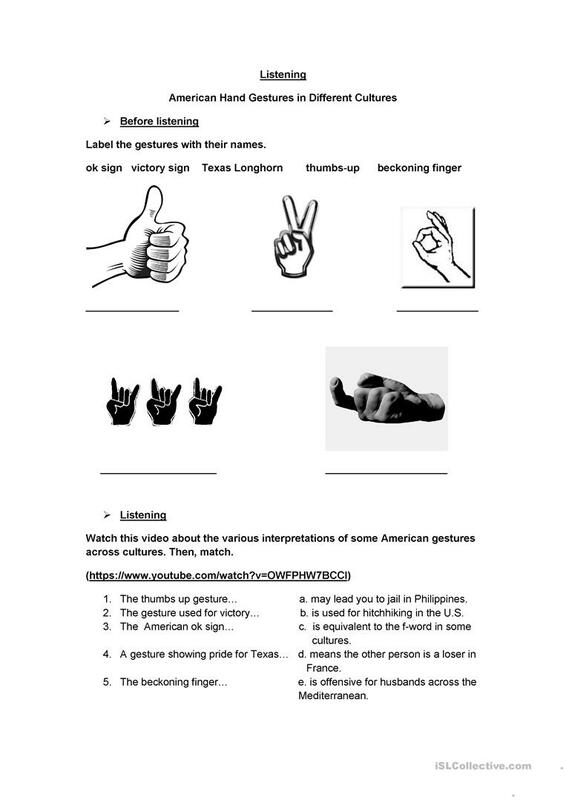 This is a listening about how some American gestures are interpreted in various cultures. The link of the video is provided. The above downloadable worksheet was created for high school students and adults at Upper-intermediate (B2) level. It was designed for improving your pupils' Listening skills.